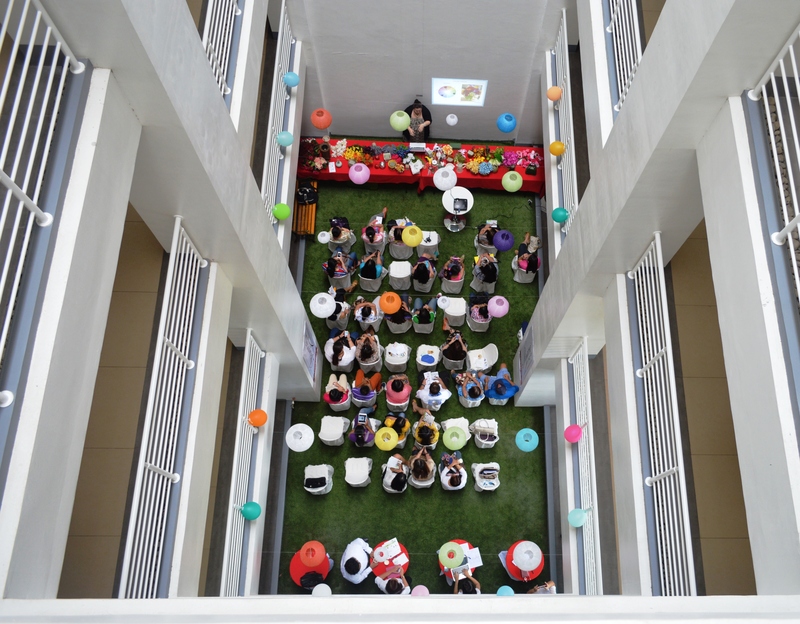 On May 24, Primavera Residences, together with Truly Wealthy Realty Corporation, hosted two workshops to highlight the event dubbed “Prima de Mayo”. 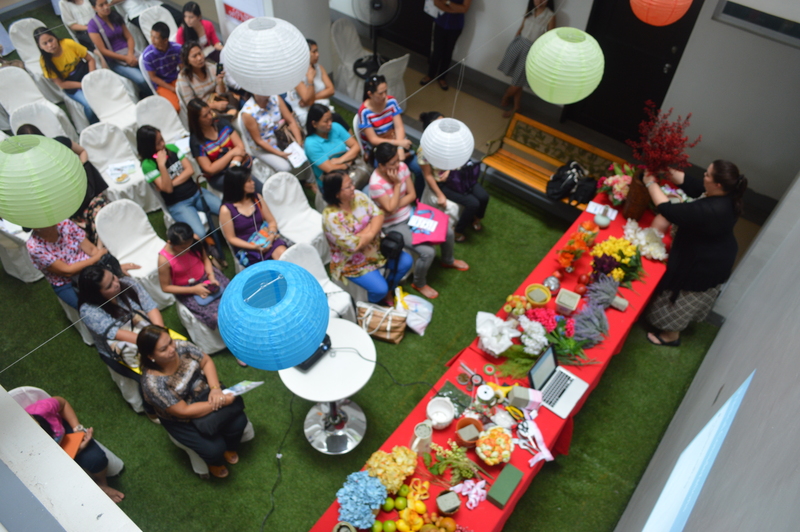 These creative workshops covered the art of flower arrangement and interior designing and were conducted by a professionally licensed interior designer Ms. Anna Christina Sagarbarria. Ms. Sagarbarria gained her expertise from The Philippine School of Interior Design, the country’s premier interior design institution. I had the chance to witness the flower arrangement workshop, and I really appreciate and admire the way she does her craft. Given the limited timeslot, she was able to manage squeezing in the basic essentials of what we need to learn as flower arranging newbies. Set up at the green inner courtyard of Primavera Residences, Ms. Anna showcased her materials consisting of a variety of beautiful flowers, and vases of different shapes and sizes. 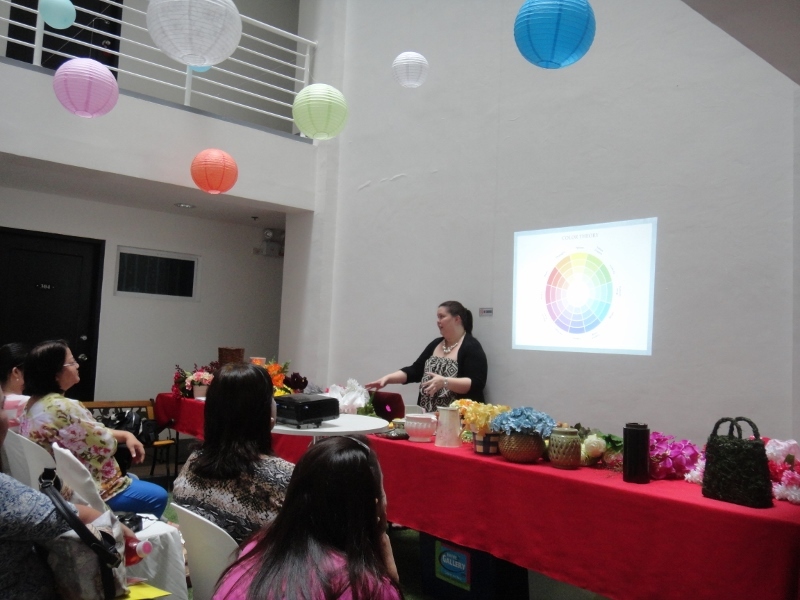 Her talk started with a discussion of the basic color theory, stressing out that it is important to know the basic colors and its primary combinations. From the term ‘mono’ meaning single, and ‘chromo’ or color, this is the application of a single color type. When it’s yellow, it’s yellow and nothing else. This is a combination of two or three colors which are side by side on the color wheel, such as blue-green, yellow-green, yellow-orange. So, on your vase, you can have a single color of flowers of three different hues. A combination of any two colors which are right across each other on the color wheel is complementary. A good example is yellow and blue. 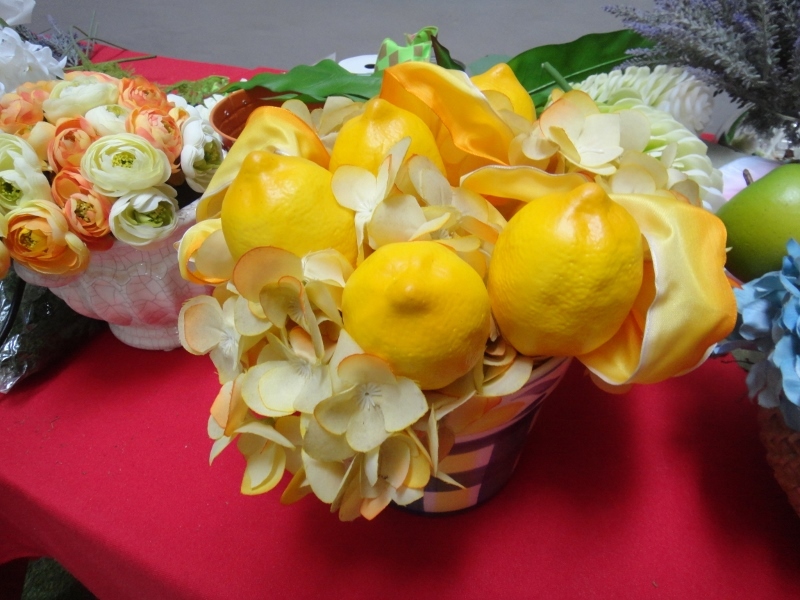 According to Ms. Chri, this color harmony can be tricky for flower arrangement. If not carefully chosen and arranged, the result can be a huge cluttered, disheveled look. From the term itself, triadic combination uses any three colors from the color wheel that form a triangle. Blue-purple-red is triadic example. 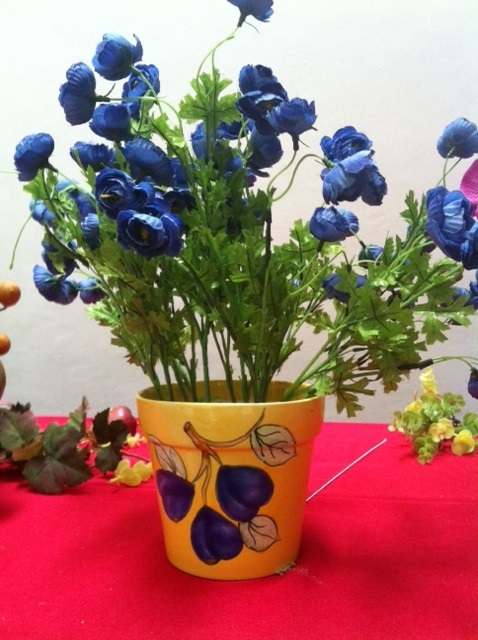 The choice of vase for your flowers is also an important consideration to make. Yet more importantly, it’s the way you arrange the flowers and the color combination that makes or breaks it. Our adept speaker showed us a single type of flower in monochromatic color placed in both a country or rustic styled vase and a formal vase, and the desired effects were perfectly achieved. She made sure to emphasize having fun in arranging flowers, just as what we had during the entire one hour workshop. The second leg of her workshop is about maximizing space, a two-hour crash course in interior designing for small spaces. The audience was all ears, eager to learn really good tips that they can apply in their home and office spaces. Her tips were especially useful to those living in condos such as the multi-awarded premier condominium building, Primavera Residences. Watch out for more fun workshops coming soon in Primavera Residences! Planning to purchase a condominium unit with a touch of class and modern uptown living? Experience the elegance and comfort you are looking for here at Primavera Residences. Give us a call at (088) 310-8173 or 0917-7921078 or visit http://primaveraresidences.italpinas.com.